Typically sold in clear or black rolls, this plastic sheeting can be purchased in quantities of 25 to 100 feet depending on the amount of coverage necessary. Painters often use translucent polyethylene sheeting as a type of drop cloth to protect the floors or furniture in their work area. And when remodeling, it can also be used to seal off a doorway to keep sawdust and other particles from migrating into surrounding areas. For use outdoors, many homeowners and gardeners find black plastic sheeting functions as a good landscaping barrier to prevent any unwanted growth, while also working well as a garden pond liner. Because it is weather proof and generally puncture-resistant, polyethylene sheeting also is a practical covering for chopped firewood stored outdoors. 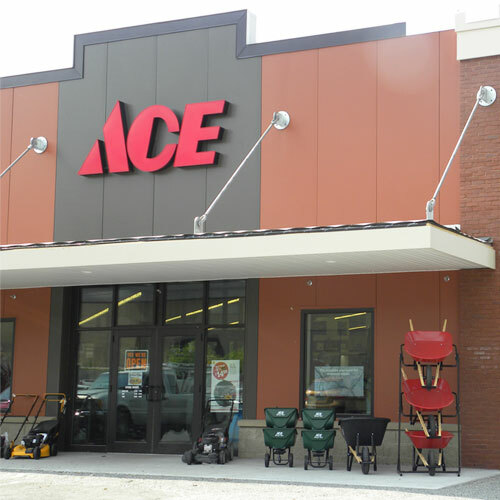 For more information or help finding the right type of plastic sheeting for your needs, visit your local Ace.